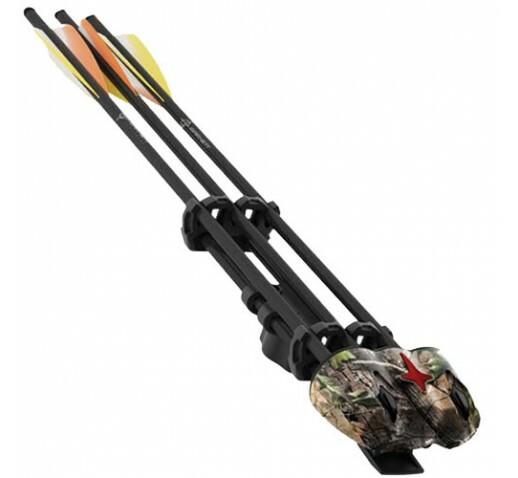 A unique quiver that can be used on any Barnett crossbow that features a parallel or perpendicular mounting capabilities or it can be completely remove from the crossbow and used as a hip quiver to eliminates weight on crossbow for ground stalking. Comes with mounting hardware to use either way. If using as a hip quiver a belt is required.